Home / Avocado Oil • Beauty • Healthy Skin • Skin Care / How Can I Use Avocado Oil for Skin? Avocado oil is pressed from the avocado fruit native to Mexico and California. The oil is edible and used as an ingredient in many dishes. Avocado oil contains high amounts of monounsaturated fats as well as vitamin E, a powerful antioxidant that promotes moisture, cell renewal and regeneration, and treats various skin conditions. When avocado oil is pressed, the end color depends on which cultivar the avocado comes from. The benefits of avocado oil for the skin are numerous and it can be found as an ingredient in many skin care and hair care formulations. 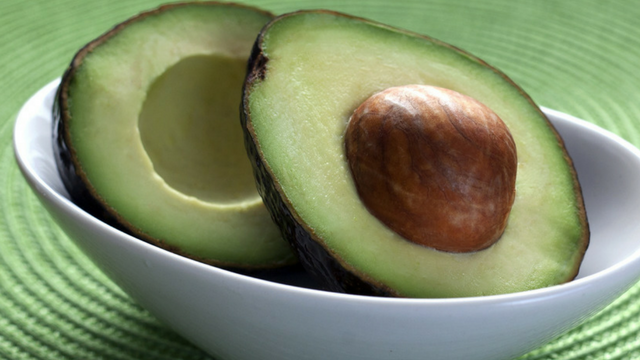 What Are the Benefits of Avocado Oil for Skin Care? Anti-inflammatory agents contained in avocado oil help treat skin conditions such as wounds, itchy skin, dry and chapped skin. Apart from vitamin E, avocado oil contains beta carotene, protein, lecithin and essential fatty acids, which promote softness, suppleness and elasticity. Vitamins A and D protect your skin from damaging UV rays. Consider including it in your DIY natural sunscreen. Avocado oil can be used as part the oil cleansing method for dry skin. For oilier skin types, you may benefit from other oils like jojoba oil, tamanu oil or marula oil. If you have weak cuticles that crack easily, you can use avocado oil to massage your nails in combination with vitamin E oil and lavender essential oil. Avocado oil is beneficial for wrinkles and dark circles under the eyes and is one of the primary components of Kiehl’s Creamy Eye Treatment with Avocado. Avocado oil is rich in chlorophyll, which helps skin speed up healing and brighten up the complexion. Use it as one of the oils in the oil cleansing method in conjunction with a facial cleansing brush. Apply a few drops to damp skin after cleansing and massage in thoroughly. Mix a few drops of avocado oil with castor oil and massage into your hands for a few minutes. Very soothing for dry hands. 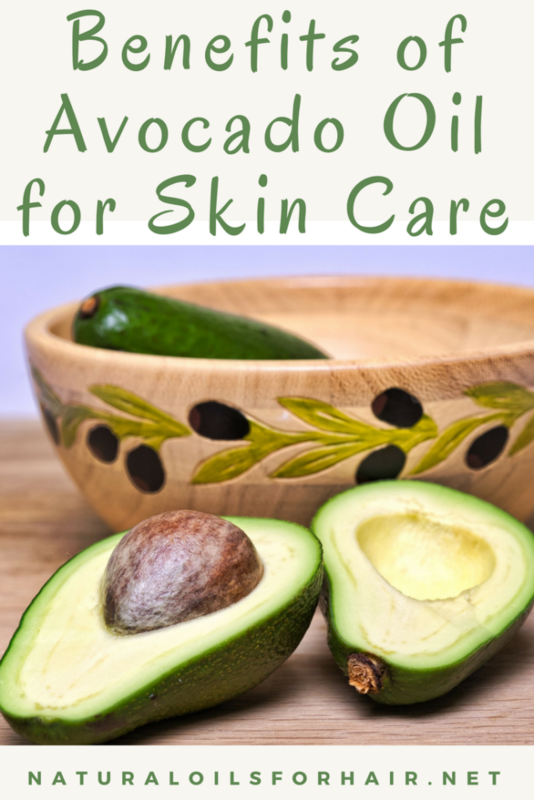 Applying avocado oil to face is best for dry skin. If you have very oily and/or acne prone skin, I wouldn’t recommend avocado oil. The best alternatives for this skin type are emu oil, rosehip seed oil, tamanu oil, argan oil, watermelon oil, neem oil, wheat germ oil, jojoba oil, kukui nut oil and hemp seed oil. All these oils have a comedogenic rating of 0 – 2, which means they are less likely to clog your pores. Avocado oil is available in refined and unrefined form. For the skin, it’s best to buy the dark green nutrient filled version. Some good options include Olivado Extra Virgin Avocado Oil and La Tourangelle Avocado Oil.